"In a little over a month, the openSUSE conference 2010 will start under the title “collaboration accross borders”. This article highlights one of the main topics at this conference — a truly border-crossing technology called the Build Service. This technology helps developers target many different linux distributions with their software quickly and easily, and the openSUSE conference offers the perfect opportunity to get some “inside information” and share ideas towards fast-tracking the software packaging process. Read on to learn more about the Build Service and what it can do for you!" "The openSUSE Conference 2010 Sneak Peaks will introduce some speakers and talks to you. This time we explore the automatism’s inside our testing team together with Bernhard Wiedemann." Also added some more explanations about how the redirector works with regards to proxying .repo files, as well as how to test/debug/verify what it sends back using curl. Read more at http://r.opensu.se"
"We have just completed the upgrade to the 1.16 release of MediaWiki. This release comes with several improvements in functionality and performance. Anyone who is interested in more information can view the release notes here. As part of this deployment, 6 additional wikis (Dutch, French, Greek, Portugese, Russian, and Spanish) have been converted to the new wiki system. These wikis now have the same themes and functionality as the English wiki, including Lucene search. Later today, we will be moving the wiki files to the data center SAN. The wikis should remain live throughout the entire process. However, file uploads will be disabled and anyone editing the wiki faces a small risk of losing their session. A warning message will be posted on the wiki during this move, which should take less than an hour." "In case you haven't heard about The Disters Contest yet, check it out now. We are looking for the best appliances in two categories, community and commercial. The winners will get $10,000 each. So don't wait, go to SUSE Studio, build your appliance, publish it on SUSE Gallery, and submit it to the contest. While there is still some time before the contest closes, don't wait with publishing it. You still have time to refine it, and you will get valuable feedback. The proven "release early, release often" philosophy applies here as well." Milestone: snapshot release without agenda. We release it once we have several new key components in." "With the release of Qt 4.7.0 it’s time to use it to build KDE packages destined for openSUSE 11.4. This means that Qt 4.7 will shortly land in KDE:Distro:Factory repositories. In a couple of months’ time it will be followed by betas of the KDE 4.6 releases. If you are using KDF just because it’s the latest KDE release, consider replacing it with KDE:Release:45 now, which will remain 4.5 and Qt 4.6 based. You can get the latest Qt release with Qt Quick/QML and latest Qt Creator by staying with KDF." "Add alien into zypper/yast so that if .deb is attempted to be installed then a message would launch saying it is not compatible but an attempt will be made to make it compatible and then alien would automatically launch behind the scenes do its work and install just like a standard rpm. This would not help unify the linux systems, but on an end-user experience, it is a little easier than the command line (no learning required - Dangerous! I know), and for all purposes considered new users would not know the difference. I understand it could get messy if a user gets deb happy for installing, but what do you think?" "Moblin interface is in the right direction of user-friendliness. So why not implement in upcoming version. Gnome 3 gonna have a similar look. But if the uses have given an option get interface like moblin by installing some packages over existing gnome packages It would be nice and would be a great help for NOTEBOOK users." "Many Internet providers give an opportunity of creation VPN-connections via pptp-protocol or l2tp-protocol. PPTP protocol is used widely. It is old and slow. L2TP protocol gives more stable connections and increases significally the speed of internet-traffic. (...)"
"One of the major complaints from users of the OBS is that it is too hard to identify which package out of multiple available ones is the correct, "safe", one to install. Also repository changes have no way of being noticed except with zypp refreshes suddenly start failing. The OBS provides an amazing, amazing service but still little complications arise; repositories disappear, change content, etc. (...)"
"The system log viewer in Yast2 should allow searching and filtering the log. Also, please add /var/log/zypp/history to the log menu. This file is crucial." "Finally I am home from FrOSCamp now, it was a hard weekend and I slept not much. I started thursday in the evening and picked Alex in Nuremberg arround 9pm adn after another 500km ride we arrived in the morning in Zurich. Then begun an hopeless search for an parking ground. Zurich is definitly an tourist/car driver unfriendly city. Its not that you cant find a place for you car its more that you cant find a place without paying. So on the end I used a parking place I search in the net before I started to Zurich, it was the cheapest I can find, only problem you had the right to park there for 15 hours. The funny thing was, you can pay for more there :D The machine took Euro money, but the automat for the tram doesnt take Euro or paper money. So if you plan a trip to Zurich is definitly the better choice to take the train or plane and make sure you have some coins for the tram." "After a very long journey home I’m finally back in Prague from Switzerland. The whole trip was just awesome! Michal and I left Prague on Thursday around 11 PM, shortly after our Fedora friends from Brno arrived. To book a shared van for 9 people proved to be a great idea! Btw, motto for the upcoming openSUSE Conference is “Collaboration across Borders” so we definitively stick to that! :-)"
Nelson Marques: Strategy and the opensuse-pt community! "A few days ago I’ve launched a small alert to the Portuguese speaking community through planet and the opensuse-pt mailing list. It’s paying off as some people are now committed to this cause; Identifying what bounds us to openSUSE and why we love to be a part of the openSUSE community. This qualitative information is going to be given to the strategy and marketing teams in a nearby future so that they can have some material provided by the community about the community (in this case, Portuguese speaking community) to aid them to fulfill their goals and make their work easier around the ‘targeted user base"
"openSUSE strategy is evolving. The strategy team is working very hard to integrate all the input they get. We got some great ideas from our contributors as well as from users and even non-users. I would be interested in further input from the upstream projects. * What do you expect from the openSUSE community? In which direction should out strategy point to improve our collaboration? Please let us know your hopes and expectations in the comments or via mail (firstname.lastname at gmail com)." "I presented on Thursday at LinuxKongress 2010 on “From Source Code to Packages for Various Distributions”. When I arrived in the morning for Jon Corbet’s excellent keynote, a quick check showed that the openSUSE Build Service (OBS) which I wanted to demo as part of my presentation was down. I was glad about the advise of my colleague Michael Löffler that told me to have some backup in case I won’t have internet in the room. So, I had prepared a screencast (video) and soon I was calm and could concentrate on Jon instead of worrying about OBS." "openSUSE ambassadors team in association with GreekLUG and Scouts Organization in Thessaloniki, participated from 11th until 19th of September 2010, to 75th International Trade Fair in Thessaloniki. We were at the thematic section called Kids & Fun at the building no16. The main idea there was to organize some games for the kids. Unfortunately we didn't have the equipment to install couple of games (like Super Tux). So we had a small corner and we were informing the kids and parents about FOSS and what are the positives of using it. We used our laptops to show a small demo. (...)"
"(...) We were overwhelmed by the visitors. We distributed 211 openSUSE 11.3 DVDs to the casual visitors and a few SUSE 11 SP1 to people from the Ministry of Education. We started sfd with demonstration of CMS, we showed fresh installation and tweaking of software from http://opensourcecms.com This took a couple of hours because the process was challenging and over a wireless link sometimes falling at 2mb. Coffee break and we struggled our way into FOSS games. The audience was quite interested that you could use Linux to work but also to play games and some of them are "clones" of Windows games. We gave some advice on using Wine, but demonstrated that installation of openSUSE 11.3 alongside with Windows would be their best bet. Dual booting and showing how to configure in Yast. We ran out of battery for our camera so here are the pics secured : http://www.nui.fr/linpha/viewer.php?albid=14&stage=1 "
"In the community of opensuse in Nicaragua, we're organizing a Tour for all university of Nicaragua, the idea of the tour is promote the use of free software and opensuse. We will have the first event in October, we don't have a confirm date, but it's probable between October 18 and october 20. In this event we will have some conference and workshops. (...)"
"Software Freedom Day is being celebrated on 18th September,2010 here. As an information for the new users, Software Freedom Day is a worldwide celebration of Free and Open Source Software (FOSS). Our goal in this celebration is to educate the worldwide public about the benefits of using high quality FOSS in education, in government, at home, and in business -- in short, everywhere! for new Users :-The openSUSE project is a worldwide effort that promotes the use of Linux everywhere. openSUSE creates one of the world's best Linux distributions, working together in an open, transparent and friendly manner as part of the worldwide Free and Open Source Software community. (...)"
OMG!SUSE! team: Runnin' from Johnny Law with Amarok 2.3.2 "Moonshine"
"Earlier this week the Amarok team release version 2.3.2 which brings a KTruckFull of bug fixes to Amarok, the most important of them being: Amarok 2.3.2 jives with KDE 4.5 far better than it's predecessors." "2.6.36 offers VFS optimisations, has returned to integrating Ext3 file systems with "data=ordered" by default and can store data from shared Windows or Samba disks in local cache to improve performance. Numerous new and improved drivers enhance the kernel's storage and network hardware support." "I bet at one point or another you felt you missed the system tray integration feature in some application, be it xterm, an audio player, a file manager or any other program. Well, KDocker is just the thing which comes to help: a simple, yet practical docking application built for KDE4 (older KDE3 version can be found here), but not only. Let me tell you how to use this program in a productive and useful manner." "We already introduced a beautiful collection of GIMP tutorials before, it's time for some more. But this time, they are a bunch of GIMP video tutorials and are solely meant for absolute beginners, those who only have the vaguest idea on what GIMP is and what it is capable of." "In my previous article on this subject, I have introduced Akonadi as the personal information beehive on your computer, explained how it works, how it is designed and what the migration process to an Akonadi-based Kontact looks like. (openSUSE users should also take a look here.) In this article, I will dive into the workspace parts we’re introducing on top of Akonadi, notably the new email notifier system in Plasma – Lion Mail. The Lion Mail email notifier is at its base your "you’ve got mail" icon in the panel. For users with more complex and high-traffic email habits, it offers a basic set of workflow tools to manage the daily stream of emails more efficiently and ergonomically. In this article, I’m describing some of the design concepts behind Lion Mail’s email notifier and its workflow features." "Ooo2gd is an OpenOffice addon which you can use to keep your documents synchronized with Google Docs, Zoho and WebDAV servers. You can either manually select to upload a file to Google Docs / Zoho when you're done editing it or you can select to automatically synchronize it. (...)"
"These last days I've been trying to organize my photo collection. I realized that some of them were in more than one folder, that is, some photos were duplicated or triplicated on my hard drive. So, I wrote a python script to solve my problem, and here it is:..."
"Google's open source Android mobile operating system is taking the smartphone market by storm. Unlike Apple, which has stringent guidelines and requirements for developers who want to offer their applications on the iPhone App Store, Google has left the Android platform wide open. You can even write Android applications in PHP now. The folks at Irontech have created a PHP port to run on Android, and with the Scripting Layer for Android (SL4A), you can build PHP Android applications. (...)"
So, let's get on with it!" 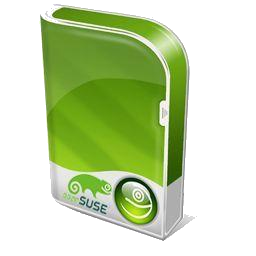 "This guide explains how to set up an NFS server and an NFS client on OpenSUSE 11.3. NFS stands for Network File System; through NFS, a client can access (read, write) a remote share on an NFS server as if it was on the local hard disk. (...)"
"When Linux servers under perform—particularly multi-purpose systems running multiple applications for multiple user groups—the root cause is frequently resource monopolization by one or more processes or users. Wouldn’t it be wonderful if you could set and enforce some ground rules to govern how much CPU, memory, disk I/O or network I/O each process or user could command? Well you can! Control groups (cgroups) are a feature of the Linux kernel that provide mechanisms for partitioning sets of tasks into one or many hierarchical groups, and associating each group with a set of subsystem resource parameters that affect their execution performance. You might use control groups: (...)"
"Nagios is a popular open source computer system and network monitoring software application. It watches hosts and services, alerting users when things go wrong and again when they get better. (...)"
"It all started when my daughter discovered the Bamboo Pen. Naturally the tablet quickly turned into a must have accessory to her computer. After a bit of Googling I came to the conclusion that making the beast work with Linux should be possible. The prize for the effort would be a very happy young lady. In order to avoid any potential hassle with shipping etc. we went to the local Best Buy to buy the tablet. As the store had the hardware at the same price as online retailers that decision was easy. Once I actually had my fingers on the tablet it was time to make it work. Doing a bit more detailed research now, I found various openSUSE forum posts and various other links. Some of these were not quite consistent, others appeared to address only half the solution. Therefore, I decided to cast away most of what I had found and just concentrate on the information found on the Linux Wacom Project. The HOWTO is informative and provides all information needed to get everything working. The HOWTO does not provide the information in the linear fashion I like, when I try to get something new to work. With a bit of hoping back and forth and some pocking around I got the tablet to work." This application is pre-alpha quality (i.e. minimal functionality). While the Diaspora team has released the source code and some basic installation instructions, there is absolutely no support right now. In addition, the application has a lot of security holes, as this article points out. On top of that, you will have to install a lot of software, which always carries the risk of messing up your system. While I am happy to answer some basic questions about what I did, I am not a Ruby expert and will probably not be able to help on most specific problems. If you do this, it is at your own risk!" "The target users of openSUSE are people who need to get work done, and want something stable and usable for their every day needs. They are users who are interested in technology, willing to learn if needed, capable of reading documentation or asking questions on forums. But also people who don't want to do that if they don't have to. In short, the productivity-focussed professional. This includes powerusers, developers, system administrators but also office workers who sit behind a computer all day. A convenient definition would be someone who regularly reads computer magazines or technology sites and works with computers a lot. So we are NOT targeting people who don't use a computer very often - if your grandma only checks mail and Facebook once a week, give her a Netbook interface like MeeGo or Plasma Netbook, not the default openSUSE Plasma or GNOME desktops. Our user wants control over his or her computing experience - but at the same time doesn't want to WASTE time - things should work out of the box and offer flexibility and configurability only where needed. And this user is empowered to help his or her favorite distribution - it is easy to contribute back to openSUSE!"" "So after a week of preparation and a couple more weeks of frustration and perseverance, my somewhat ancient laptop has transformed from a dual-boot Kubuntu/Windows XP system to a dual-boot openSUSE 11.3/Windows XP system. The whole process wasn’t really as bad as I’d feared, nor as bad as you might think after reading that lead paragraph. I pretty much thought I’d have to reformat my hard drive and start over and backed up all my data accordingly. Once I did that, I remembered to install Windows first, even though I never ran into any issues when I earlier installed Windows on what it considered the H: drive." "Yesterday i’ve got a Message from Linux Foundation. The Mail says, that the fourth Part of the Webinars are available. A Webinar is a free Trainingvideo with different Topics. Each new Webinar has a new Topic. The whole Training is a Video in a Flashplayer, that contains a talk and you can see the Slides or the stuff what makes the Man (Women) who gives the Talk. Before you can access the Webinar, you must request a Session-Key, what you can do there. On the Registersite you just must place your Name, Emailadress and Company, and in the next Step you got the Key. That Key you put in the next Page, and then you have access to see the Video. As Extra Present you can also Download that as OGG. The Webinars are interesting, and if i haven’t understand anything, i can go back and hear it another Time." "The last kernel update (2.6.34.7-0.3-desktop) in my case blown up the ATI FireGL proprietary driver (verified in 10.8 and 10.9). As usual, after a kernel update the ATI user needs to recompile the fglrx module, and this time it was failing (maybe due to recent cleanups by the kernel devs on ASM code):..."
"This week we had such a swathe of issues with the .4 kernel update, but this one was slightly different because it actually came in post the .7 kernel update." Firefox amd Dolphin Graphical Display Issues. "This is kind of epic but reveals some interesting information and solutions. It's ongoing as I write this, although the initial issue seems resolved - we wanted to address the WHY it was happening in the first place." "When running from a live session on USB, user cannot access other partitions. Some advice is given to assist." "This was a bit of good news after the last fiasco - The latest kernel release has solved the USB bug." "Please enjoy this free eBook of my lattest book Introduction to the Command Line (Second Edition) available for free download in PDF format from Lulu.com." firefox a la meilleure gestion de la mémoire tous navigateurs confondus (cf tests unanimes sur la toile)"
"There’s a certain movement these days in the world of GNU/Linux distributions. I think we are experiencing one of these moments that starts with a question that has been asked and heard many times -should distros differentiate themselves in order to survive? & aren’t there too many distros out there?- and ends with a much more serious question: Innovating in the world of GNU/Linux. Rest assured this is not going to be that sort of rant where we conclude that “Linux is the copycat of other OSes” just like we will not, in fact answer the question of the pretendly too many distributions or their differentiation. That is, I will not really answer these questions; and the reason I won’t is that I think these are all bad questions that either miss the point or show a certain lack of understanding of FOSS and GNU/Linux in general. I guess by now all of you have heard of Mageia, the Mandriva fork. But these news overshadowed something else that is a developing situation elsewhere and matters perhaps even more: OpenSuse. (...)"
"There's no doubt about it. VMware wants to buy Novell's SUSE Linux and open-source divisions. But, according to a Reuters report, Novell's board really wants to sell NetWare and the identity management divisions at the same time, and no one wants to pay serious money for them. In addition, I've heard that other companies are interested in buying Novell's SUSE Linux business. 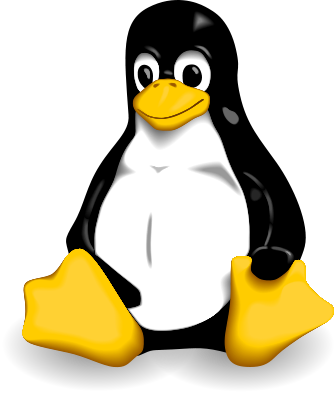 VMware may yet find itself in a Linux bidding war. (...)"
" Adobe Security Advisory APSB10-22 describes vulnerabilities in Flash Player. Flash content could be on a web page, in a PDF document, in an email attachment, or embedded in another file. By convincing you to open malicious Flash content, an attacker may be able to take control of your computer or cause it to crash." This page was last modified on 29 September 2010, at 13:15. This page has been accessed 51,341 times.